Multiple Node Menu is a module that let’s you add multiple menu items for a node at once. The normal Drupal behaviour when creating or editing a node is to allow you to create on that page a menu item for the node being created. 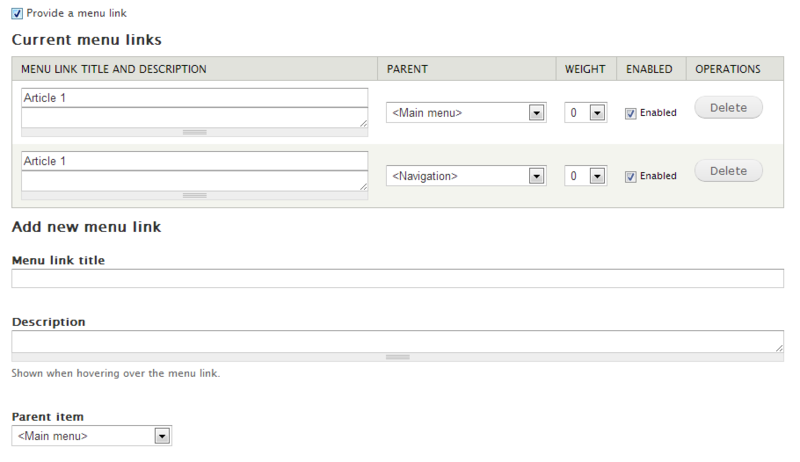 You can specify the title, a description, the parent menu and a weight. But what if you want this node to have multiple menu items? Let’s say one in the main menu and one in the navigation menu. 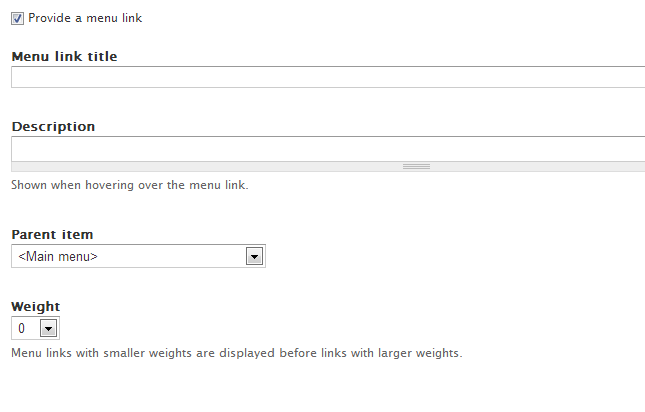 What you normally do is create one there in the edit page and then you go to edit the other menu in question. There you have to manually add an item to it specifying the link to the node you just created. Not anymore with this module. Multiple Node Menu puts all this on the node edit/create page. You can add as many items as you want into all the menus you have available for the content type. You can specify for each the title, description, parent etc. And you can even add them as children to the ones you added before - you don’t have to save the node first. So if you are dealing with a lot content creation that needs to be linked from multiple menus, this module can speed up some of the process. So check it out. The Drupal 7 version is maintained by Technocrat. Thank you so much for this module. I tested it and working like a charm.